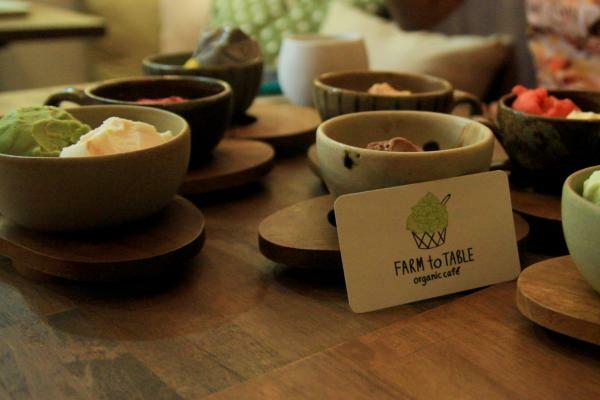 Farm to Table Organic Café not only grows their own vegetables out in Phu Chee Fah, but they take things one step further, making ice cream from their own produce—pumpkin, potato, carrots, and strawberries—which is guaranteed by the IFOAM (International Foundation for Organic Agriculture). 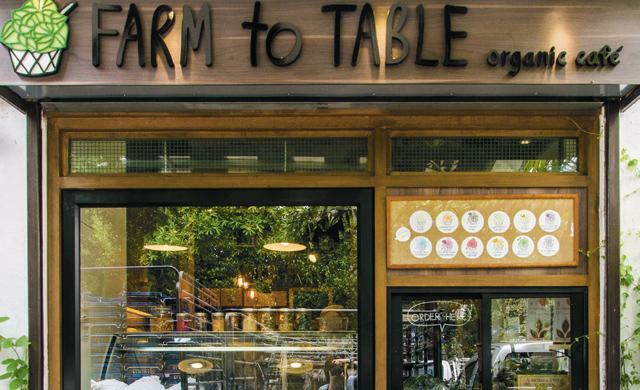 We’re particularly impressed by their ability to blend their organic milk with vegetables, a long process of trial and error they describe as very difficult, due to the flavours and acidity of some veggies. 179 Aussadang Rd., 02-115-2625, 081-868-9942. Open daily 10am-8pm. 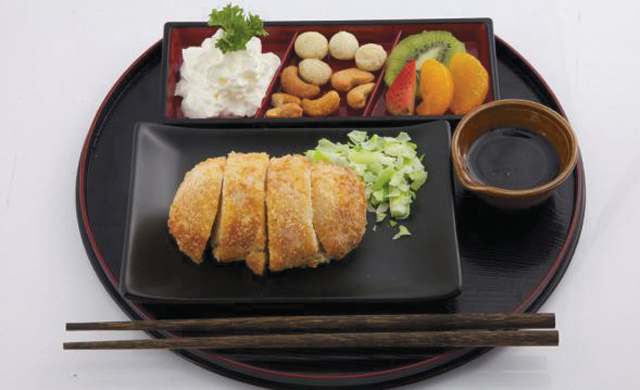 As crazy as it sounds, tonkatsu ice-cream (breaded, deep-fried, melon flavored ice cream topped with chocolate sauce, B145) has actually gained global appeal. 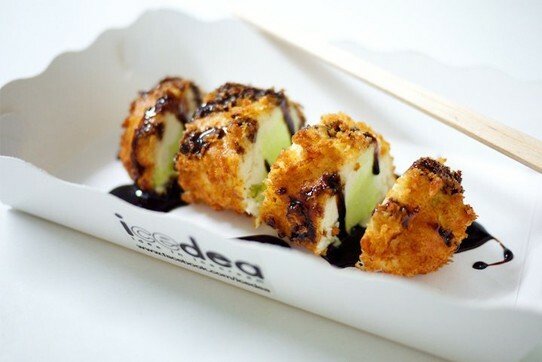 Here in Bangkok, Icedea is the place to grab your ice cream cutlet. Not weird enough? 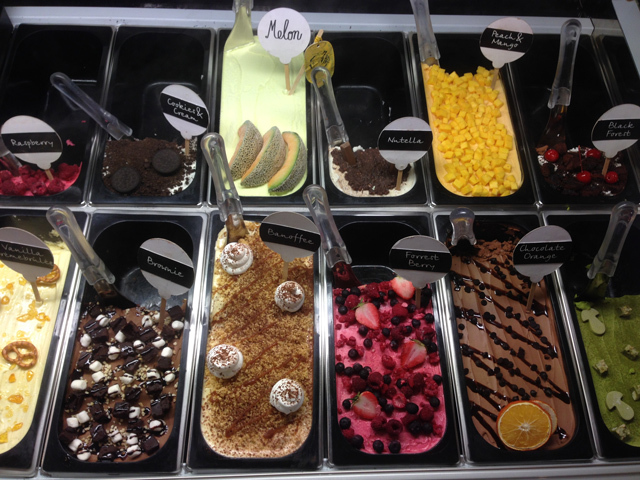 They do global warming ice cream (B49), which reflects the melting world we live in. Also, don’t forget to taste the popular Grass Brownie (B69), a brownie topped with green foi thong (Thai dessert made with egg yolk). They’ll also sculpt your ice cream in any shape you want. 4/F Bangkok Art and Cultural Center (BACC), 939 Rama1 Rd., 089-834-4058.www.icedea.com. BTS National Stadium. 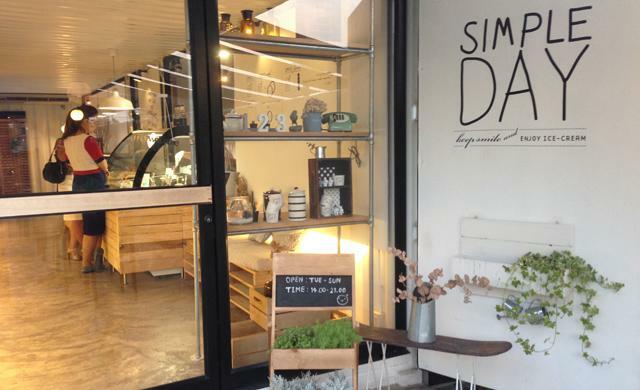 Open daily 10am-7pm. 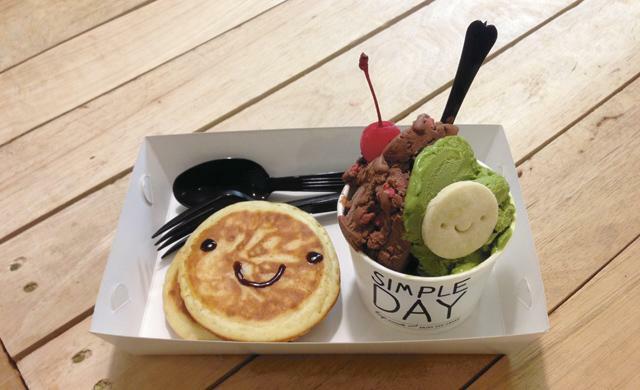 As the name suggests, Simple Day is a pretty simple, yet satisfying, ice cream parlor. 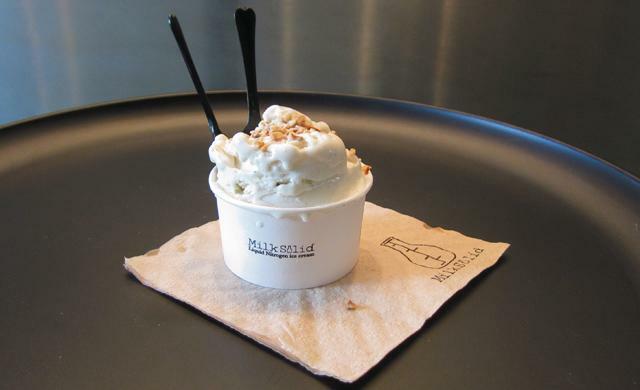 Owned by the same people as the adjoining Think Café, here you can sit back in the cute, clean space while licking great-tasting homemade ice cream flavors. 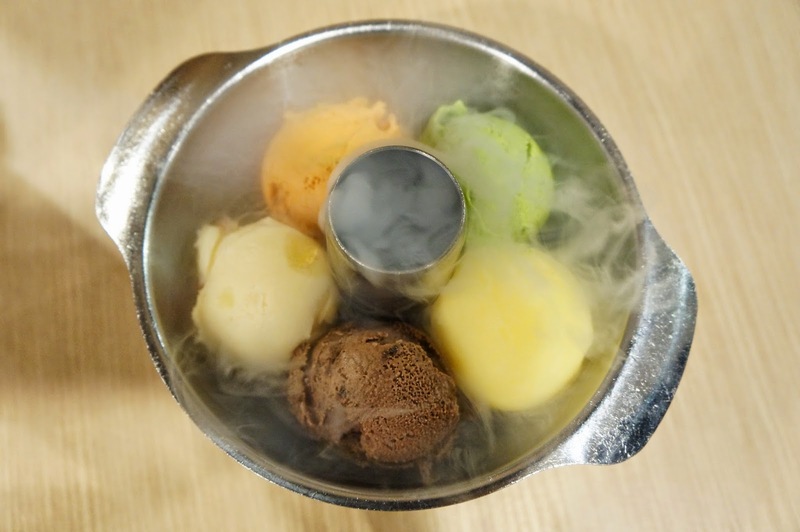 Served in cups adorned with cute scribbles, the ice-cream comes in many flavors, from favorites Ferraro Rocher and Forest Berries to rotating specials like Melon Sherbet. Enjoy them with a smiley shortbread cookie or some lovely macarons. Prices starts from B85 for two scoops with a cookie. 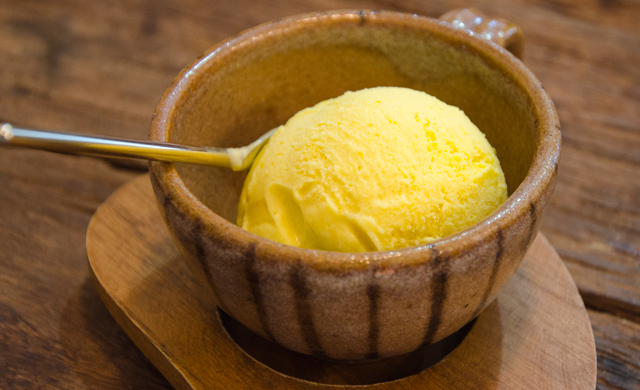 Sure, it’s a bit out of the way, and a bit hard to find if you don’t know your way around Tanao Road, but this half century-old ice cream parlor is a sure bet for light and refreshing Thai-style frozen treats. 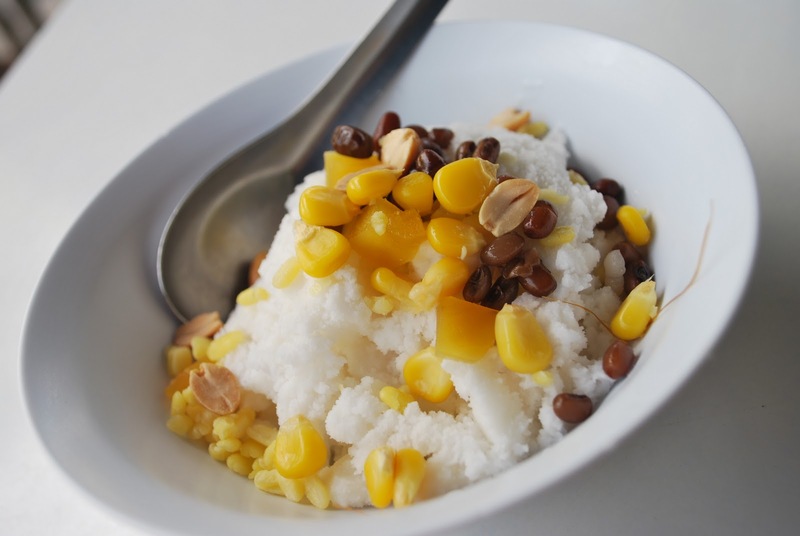 Back then, they only offered coconut flavor, but now they serve up a slew of homemade flavors, including favorites like chocolate, Thai iced tea and coffee (all B25). 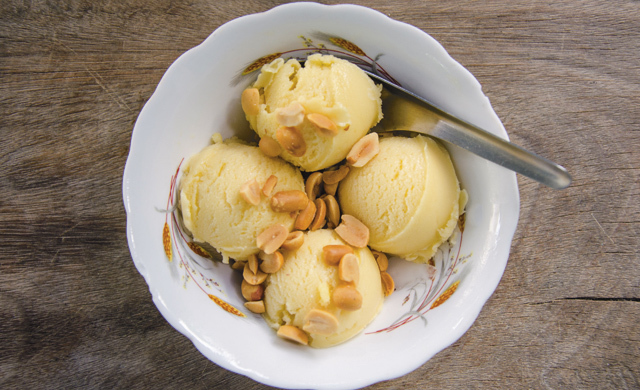 Mix and match the ice cream with your favorite toppings or pair it with homemade buttered cake. 94 Soi Phraeng Phutorn, Tanao Rd., 02-221-3954, 02-622-2455. MRT Hua Lamphong Open Mon-Sat 9am-4pm. 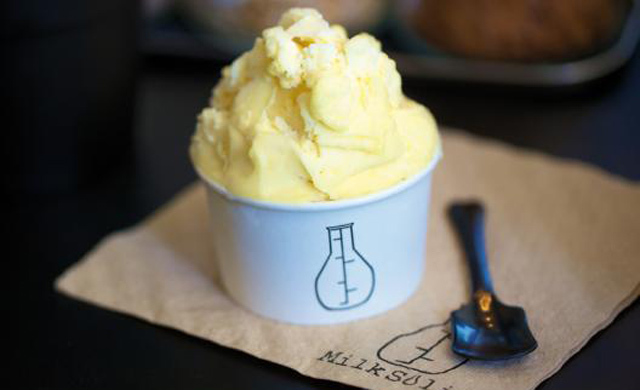 This warmhearted boutique ice cream shop serves up frozen delights in a homey setting. Owned by a foodie who works in a five-star hotel, it offers some pretty weird and wacky ice-cream flavors, like Bacon & Eggs (aka Brit- Pop), alongside slightly more conventional concoctions, like Apple Crumble (huge chunks of cooked apple, caramel and cinnamon), Nutella Kid-Cad (a must for chocolate lovers) and the ever-popular Berry Cheesecake. And it’s only B49 a scoop or B250 a quart. 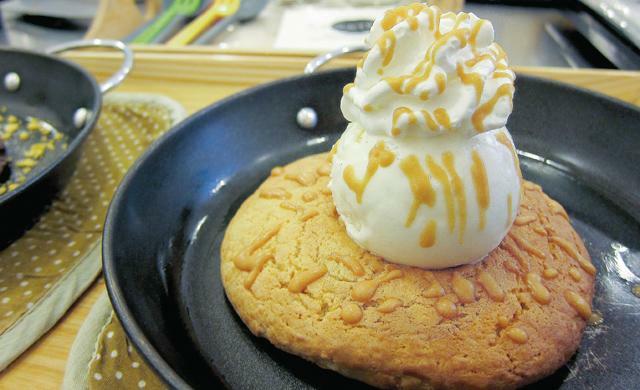 Their new creation is the Very Hot Pan-fried Cookie, a mountain of your favorite ice-cream served on an enormous, just-out-of-the-oven doughy cookie with choices of classic (B89), brownie (B99), choc-a-lot (chocolate lava, B119) and a generous amount of whipped cream on top. 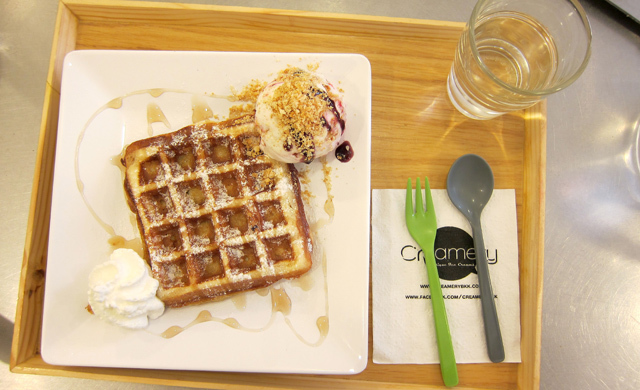 U-Center Chulalongkorn University, Chulalongkorn Soi 42, Phayathai Rd., 087- 909-8080. Open Mon-Sat 11am-8pm. If you’ve ever had Dippin’ Dots (small icecream balls served in a cup), this ice cream of the future is even smoother. 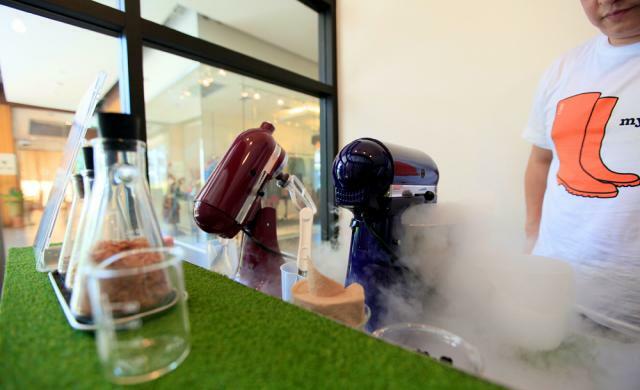 The laboratory-like shop uses liquid nitrogen to flash freeze their ice cream in just 30 seconds, so as to avoid any ice crystals forming in the texture. 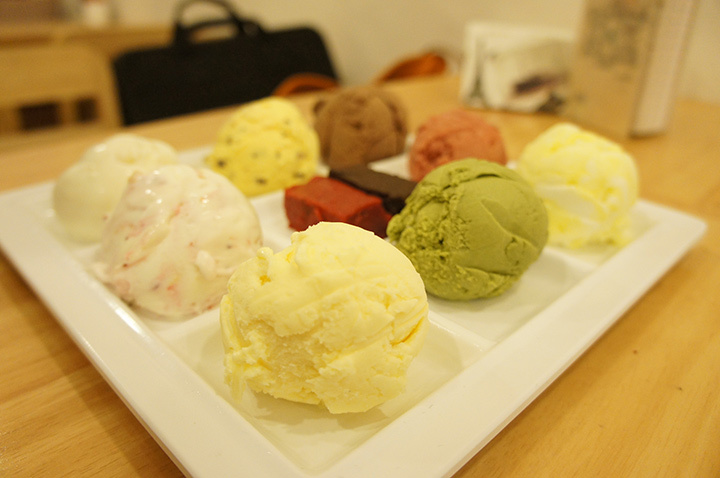 More than 50 flavors are available with milk and summer flavors like passion fruit being the most popular. B99 for small and B149 for medium. 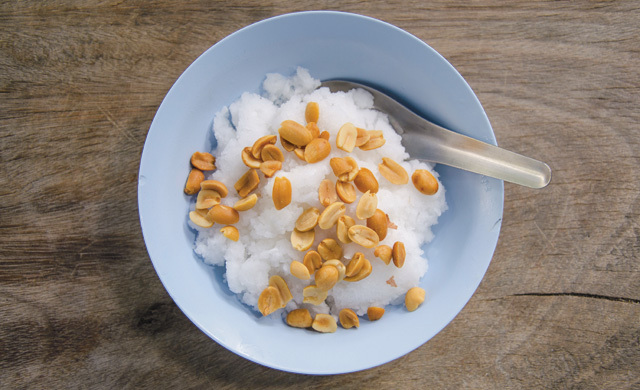 This may be a street-side stall, but don’t expect cups of coconut ice-cream. 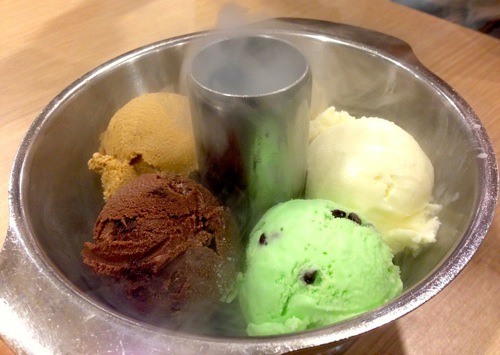 The gimmick here is to serve their ice cream in moh fai (hot pot). 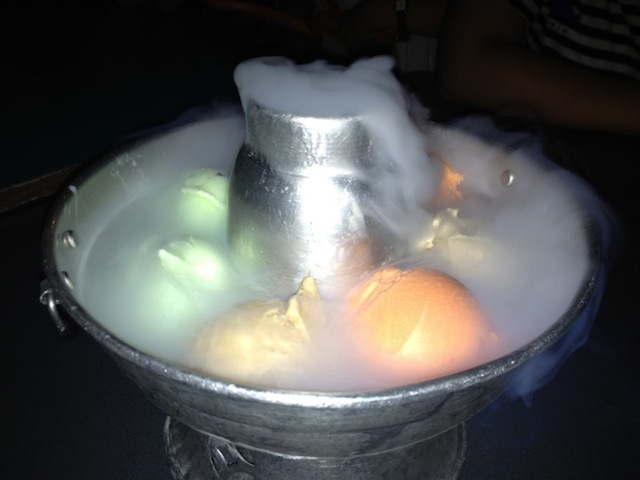 But the flavors, too, are out of the ordinary (B30): milk, seasonal fruits, beer and Red Bull vodka. 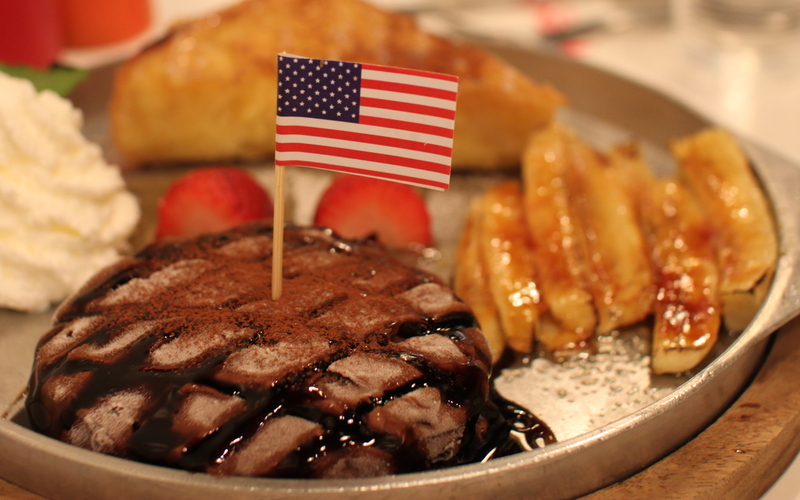 This amazing local parlour also has a branch at Terminal 21.